When a roof needs repair, people often take steps to fix the problem on their own. We don’t fault them. Your home is your castle, after all. However, some problems are best left to professionals — there are several aspects of roof repair that require a keen eye and years of experience to remedy. Interested in knowing when to leave roof repair to a trusted professional and expert in the field? Then continue reading to find out! 1. You need new shingles. Yes, sometimes it’s as easy as that. 2. There are greater (deeper) problems underneath that require repair. 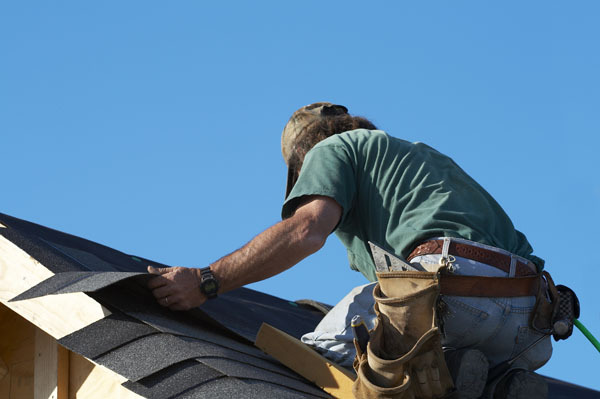 If you notice that shingles have begun to blow off or simply fall off, call a professional right away to find a solution to your missing shingles. A leaky roof is a dangerous roof. Even small leaks can have lasting, horrific effect. If your roof springs a leak, or your ceiling is showing signs of water damage seeping in from the outside, do not wait to call a professional. Repairing a leaky roof has to happen sooner rather than later. If you had roof repairs done in the past, there is some probability that particular aspects of that repair need to be readdressed. Further, the contractor that you hired might not have been as thorough as is sometimes required. It’s always best to have old roof repairs checked a few years after the initial process to ensure that they are holding up. Your roof protects some of your biggest investments. Take steps to defend those things that matter most to you by calling a professional roofing contractor today. For more information on how we can help you, please contact us anytime. Planning and executing the roof installation on your home is probably not something that you are accustomed to. Because in reality, the average homeowner only deals with re-roofing their home a few times in their adult lives. You’ll also notice that many home improvement programs don’t make roofing a priority to show you. This is most likely because of the lack of glamour associated with roofing and roofs. So while we would disagree that roofing isn’t exciting, we can also understand why it’s not often the main focus. It is, after all, very labor intensive and not a recommended job for just anyone. Here are 3 roofing upgrades that will keep your roof in great shape for a long time to come. 1. Pay attention to your chimney cap. The cap on your chimney should be airtight and protected from critters and birds. An airtight seal keeps rain and moisture out while saving your energy. A tight chimney cap also keeps warm air inside your home when your chimney isn’t in use. 2. Flashing on your eaves stops all manner of air and water problems. In winter, they prevent ice dams from becoming an issue by allowing water to shed appropriately when it melts. Flashing also stops water from penetrating your home’s walls and damaging the wood. 3. The type of shingles that you choose will save you money in the long run. 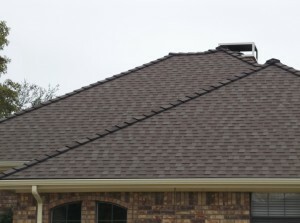 Consider talking to your roofer about a cost-effective shingle choice. Light-colored shingles are not only useful at blocking heat absorption they also save you money in heating and cooling costs. roofing upgrades are something to talk to your roofing contractor about. A few simple improvements can keep your roof maintenance-free and increase your home’s value. Need an estimate on your residential or commercial roof? From upgrades to a whole new roof, please contact us today to find out how we can help you with your DFW roofing projects.